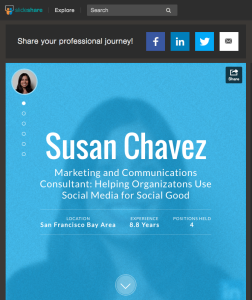 New SlideShare Tool Turns LinkedIn Profile Into Dynamic Presentation: SlideShare recently launched, Professional Journey, a tool that creates an interactive presentation from a user’s LinkedIn. Professional Journey is meant to make LinkedIn profiles more memorable. 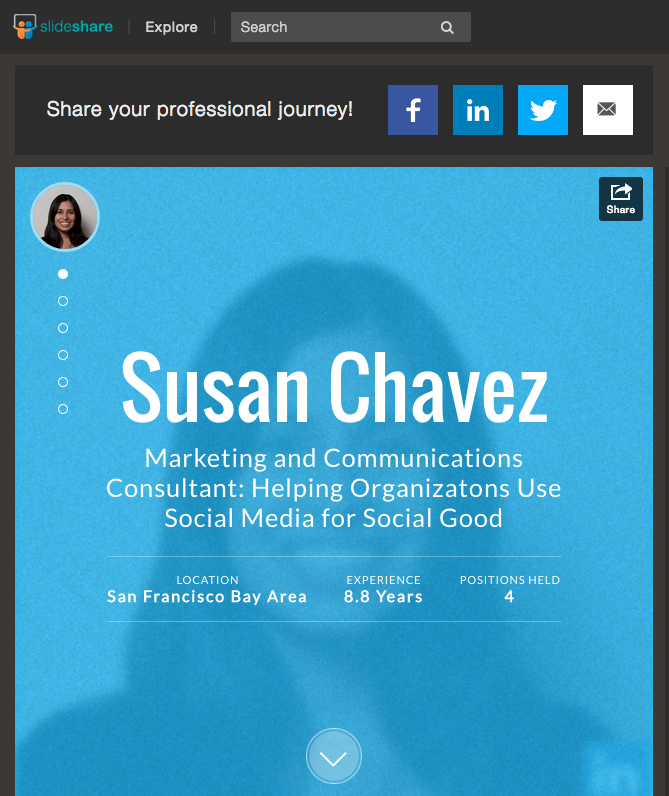 Completed Journeys can be shared on LinkedIn and other social networks. The tool is available to users who connect their LinkedIn and SlideShare accounts. Here’s what my Professional Journey looks like. Tumblr Updates Video Player: Tumblr updated their video player to make it more compatible with Vine and Instagram. The new player features auto-play and looping. The video player can also pop out for video watching viewing while scrolling through the user dashboard. Facebook Launches Rooms App: Facebook introduced Rooms, the latest addition to its family of apps. Rooms blends the variety of updates found in your Facebook feed with the focus of a chatroom. Users create “Rooms” based on a things they like or topics of interest and invite others to post text, photos, or video. Room creators can control user permissions and customize the look of their online space by choosing different text, colors, and emoji.